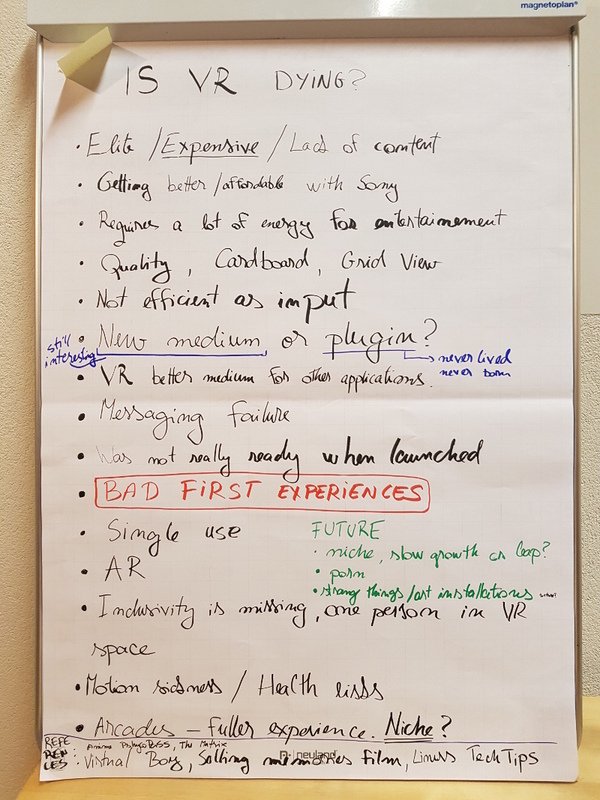 25 Jan 2018, 2:04 p.m.
Ludicious 2018 once more featured the Ludicious Unconference, organized and hosted by yours truly. 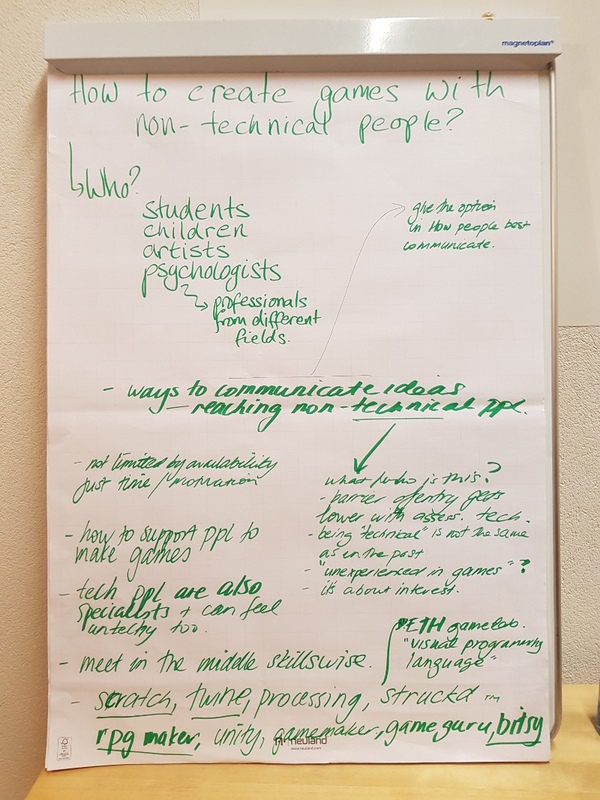 Participants suggested topics, split up into discussion groups, and finally presented their results. This is the third time I've done the unconference, and it's worked the best yet. The first time, we had a lot of attendance and a good location, but a bunch of overly talkative academics wandered in from Davos and tried to turn the event into a seminar for their ideas. One of my favorite things about the unconference is that it's a hierarchically flat space - it doesn't matter if you are famous or new, you can propose topics and talk about them in the same way. They did not get that memo. The second time, we were given the main conference hall of Ludicious, which is a lovely space, but it's huge and dark. We frankly felt lost. I think we had a decent attendance, but my memory is of the entire event camped out in one corner of the room. This time, we had a good space, a decent number of attendants, and everyone participated in the right spirit. 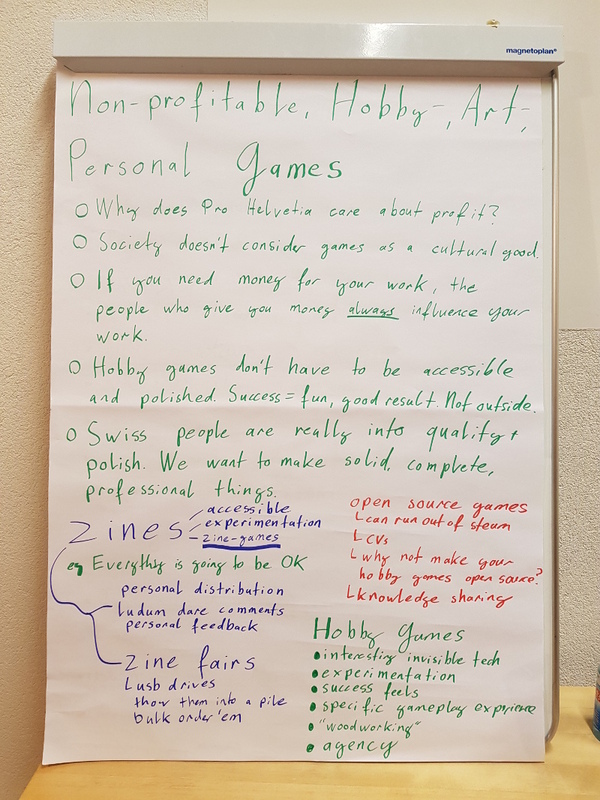 We had good conversations and ended up with six lovely handwritten posters summarizing things. I definitely hope to do it again next year. Why does Pro Helvetia care about profit? Society doesn't consider games as a cultural good. If you need money for your work, the people who give you money always influence your work. Hobby games don't have to be accessible and polished. Success = fun, good result. Not outside world. Swiss people are really into quality and polish. We want to make complete, professional things. Can run out of steam. Why not make your hobby games open source? Can we really learn from games? 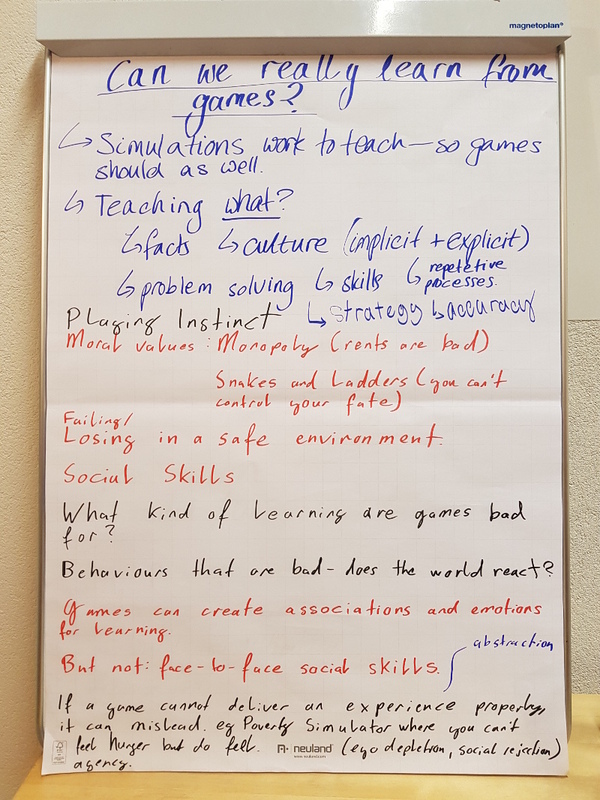 Simulations work to teach - so games should as well. What kind of learning are games bad for? Behaviours that are bad - does the world react? Games can create associations and emotions for learning. But not: face-to-face social skills. If a game cannot deliver an experience properly, it can mislead. e.g a Poverty Simulator where you can't feel hunger. How to decide how much time to invest in commercial/personal projects? Different government laws (e.g holidays) may result in different work behaviours. Where is the line between passion and addiction? Get other opinions, do a reality check from time to time. 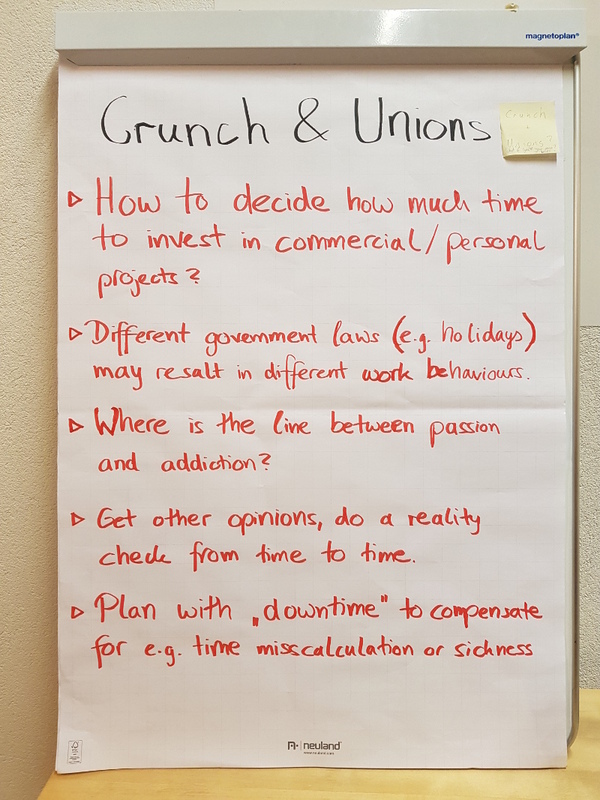 Plan with "downtime" to compensate for e.g time miscalculation or sickness. How to create games with non-technical people? 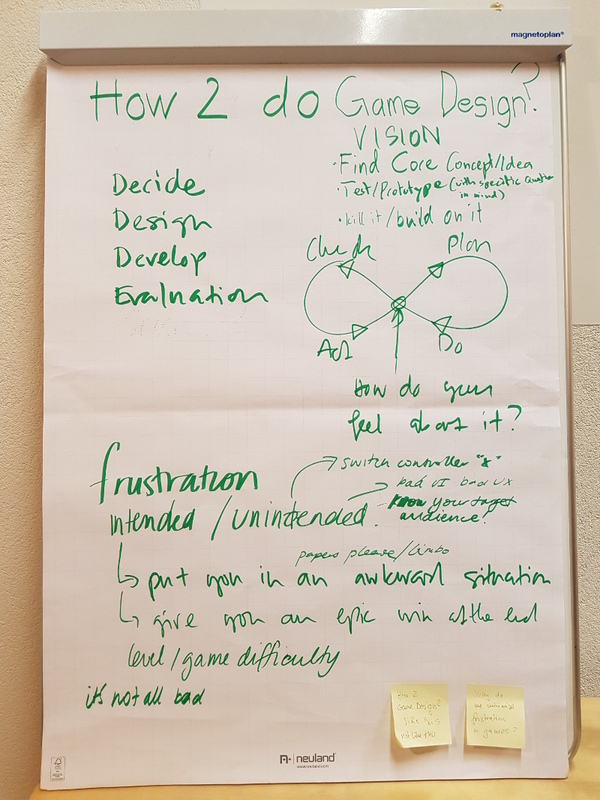 How to do game design? Arcades - Fuller experience. Niche? Niche, slow growth on leap?